Angelenos and other Southern California residents understand that we are often at the mercy of mother nature. While our most well known natural disaster may be earthquakes, there are other natural threats we face more frequently. It’s not uncommon for us to experience heavy storms, windstorms, or brush fires on an almost yearly basis. These natural events can be just as dangerous, and they have been known to disrupt power to many homes, sometimes for days. It doesn’t take a natural disaster to interrupt power. There are other reasons for electrical power disruptions such as heatwaves and energy use overload. But the fact remains that a power outage can cause significant disruption to your life. Having an alternative source of power gives you the peace of mind that you can continue living your life. Markey Electric and Solar offer backup generator installation in Los Angeles and the greater Southern California region, including Burbank, Glendale, and beyond. Our backup generator installation process begins with surveying your home and determining the right type of generator to fit your needs. Markey Electric and Solar also deals with city permits and submitting all required forms and drawings for approval. Once we have received clearance, our skilled technicians move on to the installation process. Our installation work includes a thorough inspection to make sure everything is working correctly. We also walk you through the features of your unit so that you feel confident in knowing how it works. You can always count on Markey Electric and Solar to provide you with regular maintenance and service for your generator. We are always here to answer any questions you may have. 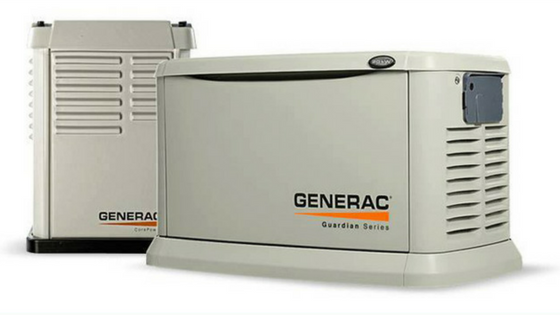 You’ll be glad to have a backup generator installed for your home. It will provide you with the benefits of running power in the middle of uncertainty. You’ll feel more prepared, and your mind will be at ease.